Alaska Locality Pay Rates vs Alaska COLA | What Changed for Federal Employees? New legislation means that Alaska COLA is being phased out, and the New Alaska Locality Pay Rate is being phased in. Federal Employees in Non-Foreign Areas are going from receiving COLA to Locality Pay. This change is taking place in 2010, 2011, and 2012. As Locality Pay is phased in, COLA is phased out. But some COLA will remain for several years to come; even after the full Alaska Locality Pay rate is phased in. ‘Left over’ COLA pay is supposed to offset the extra taxes you’ll owe with Locality Pay. The change from COLA to Locality does affect the take home pay for Federal Employees. Here’s a graphic showing how Locality Pay is phased in. First at 1/3 of the RUS rate in 2010, then 2/3 of the new Alaska Locality Pay rate in 2011, and at the full Alaska Locality rate in 2012. The Non-Foreign Area Retirement Equity Assurance Act of 2009 governs the shift from COLA to Locality Pay for Alaskan Federal Employees. Before the shift, there were two different COLAs for Alaska. One rate for Federal Employees in and around Anchorage, Fairbanks and Juneau Alaska. Another COLA for Federal Employees in the rest of Alaska. These COLA rates were frozen in 2009. COLA for Anchorage, Fairbanks and Juneau was frozen at 23%. COLA for the rest of Alaska was frozen at 25%. These rates play into the formula of the transition to Locality Pay. While there were two different COLA rates, now there is just one rate for the State of Alaska Locality Pay. In 2011, the State of Alaska Locality Pay rate was set at 24.69%. The first example shows the transition for Federal Employees in Anchorage, Fairbanks and Juneau. The second example shows the numbers for the rest of Alaska. Please note the numbers beyond 2012 are just estimates. But I put them in to give you an idea of how the transition from COLA to Locality will work. Is Locality Pay Better Than COLA? There are good and bad things about the transition from COLA to Locality Pay. The best part of this transition for Federal Employees in Alaska is that Locality Pay *is counted* towards your High-3 Salary for Retirement. COLA is tax-free, but it doesn’t count towards your federal retirement. But another important thing is that Locality Pay is *taxable*. Moving to Locality Pay increases your taxable income… which means you’ll be paying more in taxes. There is a special rule for Federal Employees who are retiring during the transition that allows you to ‘buy back’ your COLA and have it count as Locality Pay. Want a Special Briefing on Alaska COLA Locality Pay? Would you like a special briefing about Alaska COLA and Locality Pay for your agency? Invite Micah to come speak at your agency about the COLA to Locality Pay change and what it means to Alaska’s Federal Employees. 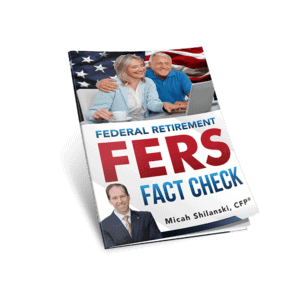 Micah can help you understand the change to Locality pay, what it means for your take home pay now, and how it impacts your federal retirement. Briefings can also include a Q & A time to address specific questions about COLA and Locality Pay in Alaska. Briefings can range from 1 hour during lunch time, or be part of a longer class for your agency on federal retirement. Click on this link to request a special class. Fill out the contact form and someone from our office will be in touch.